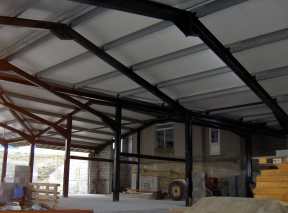 The roof was finally finished! 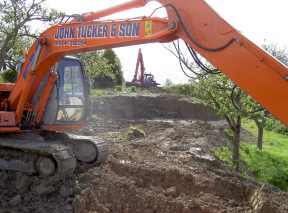 We also planted 25 trees as part of the landscaping scheme. 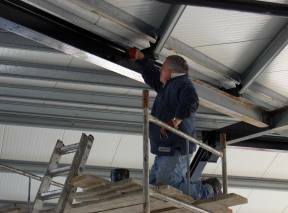 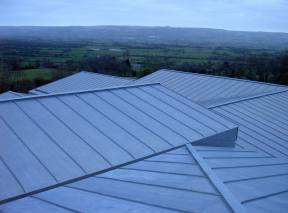 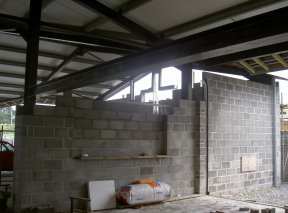 We built more of the external walls, started some internal walls and started to paint the steel beams supporting the roof. 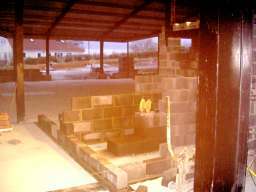 The west wall was built up and we finished painting the steel beams. 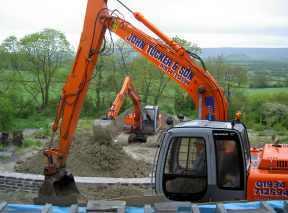 The diggers were back on site to build up and profile the land around the building. 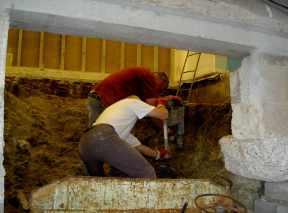 We also continued excavation work for the new toilet area throughout the month. 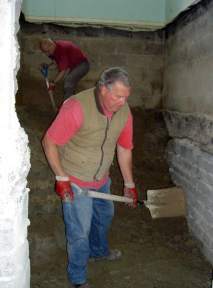 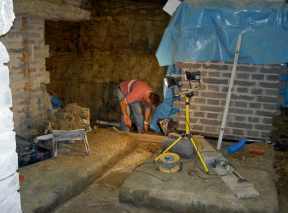 Excavations for the new toilet block were completed and we started building back up to meet the rooms above. 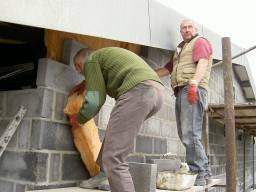 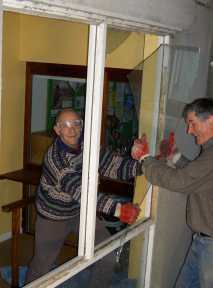 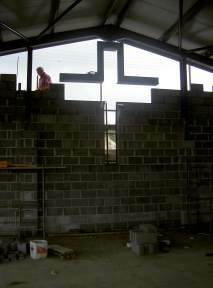 Work also began on the south wall which featuring a special ‘cross’ shaped window. 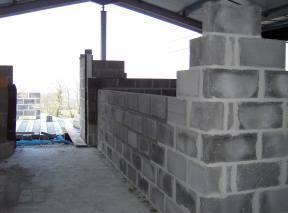 The underpins in the new toilet area neared completion and as the walls go up, the new window in the south wall took shape. 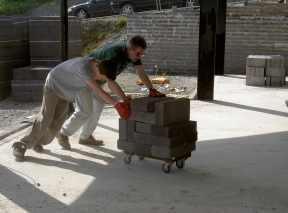 We took a break from work for a month. 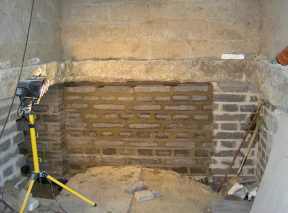 measuring before the windows and doors were made up. 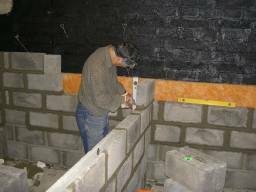 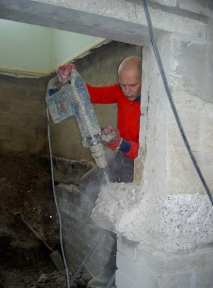 The toilet area sub-floor was cast and dividing walls built up. 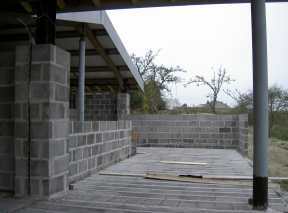 Blockwork on the south wall was completed. 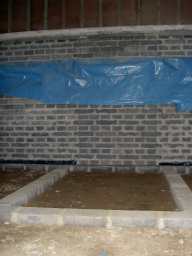 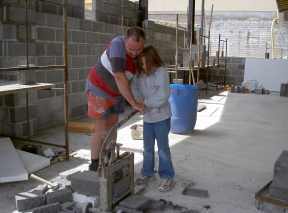 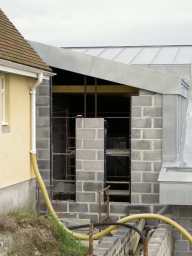 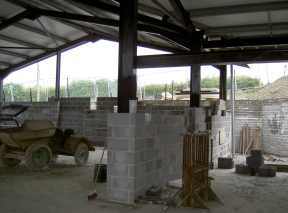 We fitted the suspended concrete floor above the new toilet block and installation began on the new windows and doors. 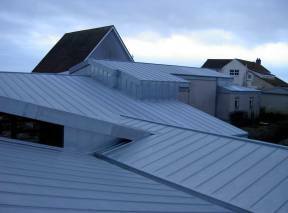 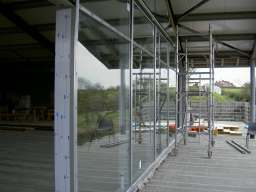 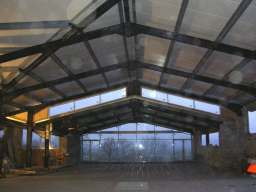 All of the aluminium framed windows and doors were finished and installed. 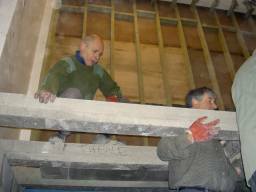 Hardwood framed windows for the east wall were being constructed. 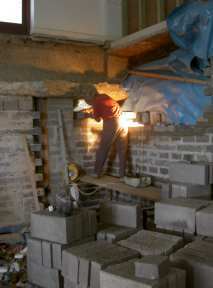 More internal walls were built up to form various rooms and corridors.